Sugar, spice, and everything nice: these were the ingredients chosen to create the perfect little girl. But Professor Utonium accidentally added an extra ingredient to the concoction–CHEMICAL X. Did you read that in the narrator’s voice? On November 18, 1998, Blossom, Bubbles, and Buttercup began their weekly crusade against crime, and for the next six years, their adventures graced our TVs. The Powerpuff Girls was a hit, and it spawned at least ten video games, an anime spin-off (2006-2007), and a comic book series by DC (2000-2006). It’s been quieter, since, but there was a tenth anniversary special in 2008 and another CGI special in January of this year. It’s a series with staying power, and it clearly has a special place in the hearts of its fans. In September 2013, IDW Publishing added another entry in the continuing saga of Powerpuff Girls media: a new comic series, written and drawn by Troy Little, an Eisner nominated writer and artist, and creator of Chiaroscuro and Angora Napkin. The Powerpuff Girls Volume 1 collects the first six issues, forming a complete storyline. The story opens with Mojo Jojo attacking the city in a giant metal exoskeleton, which he assures the girls is totally unstoppable! As usual, though, they make short work of Mojo’s latest attempt, and he’s back in prison before he can even finish lamenting his loss. It seems that this latest failure was the straw that broke the camel’s back for Mojo Jojo, and he decides to ask Professor Utonium to administer Antidote X, so he’ll no longer be troubled by the memories of his failures. But even with Mojo back to being just Jojo, things aren’t normal, since the other villainous residents of Townsville have suddenly and unexpectedly turned over a new leaf, as well. What’s happening? Can the girls trust their old enemies, now seemingly allies? Does everyone really deserve a second chance? This first storyline (as one might expect, for the launch issue) features an ensemble cast of the Powerpuff Girls’ most popular adversaries, including Mojo Jojo, Fuzzy Lumpkins, Princess Morbucks, The Ganggreen Gang, and more, with everyone getting a little time in the spotlight. For example, we get to see the Ganggreen Gang taking on an environmental mission (keep Townsville green! ), Sedusa working at a hair salon, Fuzzy Lumpkins working as a real estate agent, and Princess Morbucks being positively generous. The writing is spot-on. The characters’ voices are true to their TV counterparts, and the story wouldn’t be out of place on the show. It’s sprinkled with pop-culture references, which add a bit of flavor to the scenes, and it’s got plenty of continuity nods to the cartoon series, for fans. It’s nice to see everyone again, after ten years, and this book picks up just as though the show had never ended. The art, too, is expressive and well-matched with the series. There’s a great post on Troy Little’s tumblr showing the progress of a page from pencils to finished work. There are some other posts on there with in-progress and completed art, so definitely take a look! Troy Little’s work on this comic is sure to please fans of the series, and it’s a solid comic in its own right. The book is available for pre-order now, but it’s not going to be released until April 29. It costs about the same as buying the digital issues directly from IDW, though, so for my money, it’s worth the wait for a nice collected edition on paper. In June 1938, Detective Comics #16 had a new companion: Action Comics #1. This first issue is famous for introducing Superman, as well as for being the most valuable comic in existence, a single copy having sold on November 30, 2011 for $2.16 million. Most of these are series, and continue in future issues. I’ll not go into great detail about most–they’re the same sort of stories that run in Detective, largely a mix of Westerns and detective stories. Let’s look at a couple, though. When maturity was reached, he discovered he could easily: leap 1/8th of a mile; hurdle a twenty-story building… raise tremendous weights… run faster than an express train… and that nothing less than a bursting shell could penetrate his skin! Early, Clark decided he must turn his titanic strength into channels that would benefit mankind. And so was created… Superman! Champion of the oppressed. The physical marvel who had sworn to devote his existence to helping those in need! Superman comes from an unnamed planet which had been destroyed by old age. 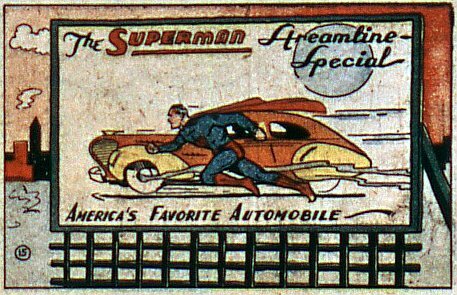 His father, a scientist, sent him away in a hastily-crafted spaceship, and the baby Superman was found by a passing motorist, and put in an orphanage. The boy was named Clark Kent, and even when young, he was very strong. As he grew to maturity, he found he had amazing powers, which we are told is usual for the people of his race. Having established Superman’s powers, and sketched his history, the first story begins, and it’s a noteworthy story: Superman has (somehow) discovered that a woman who is set to be executed is innocent, and has secured a confession from the real murderer. Armed with this, he strong-arms his way into the governor’s estate, so that the governor can halt the execution. Even from the first pages, Superman is established as the champion of the oppressed, caring for the wellbeing of the people. 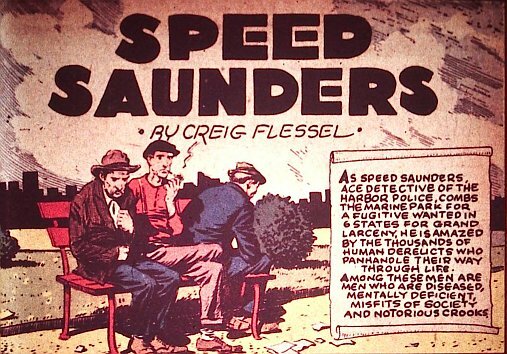 This sets him in distinct opposition to many other crimefighters of the day, such as Siegel and Shuster’s own Slam Bradley, a private detective superficially similar to Superman, but who is in it for the money and thrills. Superman continues to show concern for the well-being of the common man as the comic continues. Later in the story, he stops a wife-beater, and the end of the first issue, and continuing into the second, he fights political corruption, leading to him single-handedly stopping a war. He captures the generals of the opposing armies, and delivers an ultimatum: “I’ve decided to end this war by having you two fight it out between yourselves.” He spends the third issue fighting for better working conditions for mine-workers. In the following issues, Superman retaliates against a crooked football coach by playing for the opposing team, saves a town from being flooded by a burst dam, stops a man who is pretending to be Superman’s agent from exploiting his good name, and saves a failing circus by joining up as a strongman. Superman’s not exactly a boy scout, though–he joins the football team by disguising himself as one of its players, keeping the real player drugged the entire time, and he’s not afraid to use the threat of force to get what he wants. Superman’s definitely the star of Action Comics, although he doesn’t appear on the cover again this year, after the first issue. He won’t reappear on the cover until issue #7, after which he begins appearing regularly. Zatara frequently uses the power of astral projection to travel invisibly and spy on his enemies, and he uses his powers for more frivolous things, too, like turning a meal that Tong didn’t like into chicken, which he preferred. It’s not clear to me what the limits of his powers are–in the sixth issue, he summons up a whole army to fight for him. I’m guessing that the limit is “however strong he needs to be to get out of the trouble he’s in”. Zatara’s stories aren’t substantially different from the other stories in the magazine, or the ones that run in Detective, if you ignore his use of magic. I enjoy them, though, and it’s amusing to see the absurd things he uses his magic for, so I’d place Zatara as my second-favorite comic in Action Comics, after Superman. The only comics in Action Comics that are to my taste, this year, are Superman and Zatara, and they are pretty good, particularly as compared to their contemporaries. Superman’s popularity really takes off, and he’ll be in other comics in the near future–particularly in his own magazine, Superman, and in World’s Finest Comics, in which Batman will also star. Of course, that won’t be all–according to Comic Vine, Superman appears in 9270 separate comic issues, just under Batman’s 9491 appearances. With that many issues, you could read a Superman comic every day for over 25 years without running out, even if they never published another comic. What’s the source of Superman’s massive popularity? I won’t speculate. Whatever else you may think of Superman, he’s clearly left his mark on comics. It’s well worth reading these early issues of Action Comics, to see where it all began. I thought that, rather than writing a separate post for each issue of Detective Comics, it might be more instructive to collect my opinions on several issues. So, let’s look at the next eight issues, numbers 3-10, published between May and December 1937. These stories declined in quality somewhat. The stories varied from boring to unbelievable, though some were merely mediocre. Two stories stand out. 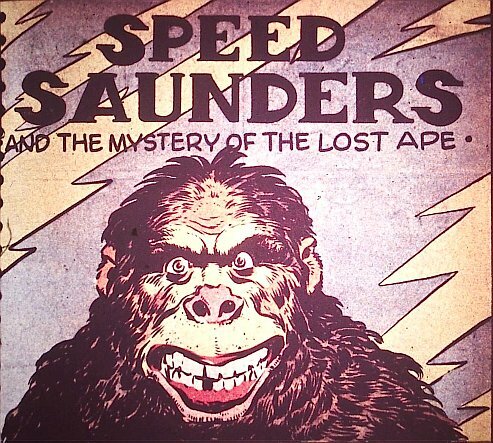 In Issue #6, we have a story about a human brain being put in an ape’s body. Mysteriously, the body appears to retain the ape’s memories and personality, the human brain contributing only increased intelligence. The ape becomes violent, and ultimately throws itself and its creator off a pier, drowning them both. This story wasn’t actually very good, but it was something of a departure from the norm. A mad scientist putting a human brain in an ape’s body? That’s the kind of absurdity I can appreciate. In Issue #9, Speed thinks an old hobo looks suspicious, so he follows him around, very ineptly. Ultimately, it turns out that the man was an undercover cop, and Speed is rescued from his own incompetence by the crowd of police the undercover man brought in. But, of course, Speed is the hero, so nobody mentions that he was impeding an investigation and endangering the undercover cop. Another comic that isn’t really worth the time. I did somewhat enjoy the device in Issue #5–the criminals were smuggling drugs by putting them in torpedoes and shooting them towards shore, where their confederates would retrieve them, thus neatly bypassing inspections at the harbor. Still, the stories tend to be very predictable, and so not very interesting. In several, Cosmo doesn’t even use a disguise, which is rather his whole gimmick, making Cosmo into just another generic detective story. This storyline finishes in Issue #8, and the hero, Bruce Nelson, begins other adventures with Issue #9. First things first, though: “The Claws of the Red Dragon” isn’t very good. It, by virtue of being eight issues long, avoids the pitfall that most comics in Detective Comics fall into, which is that they don’t have the time to adequately develop their stories, but it has other problems. First, it is fairly dull, most of the time. Second, and perhaps more importantly, it is incoherent. I am guessing that “The Claws of the Red Dragon” wasn’t originally intended to launch the career of Bruce Nelson as a sleuth. In the beginning, Nelson just seems to be a regular guy. The other two guests in the restaurant, Sigrid and her father, are clearly introduced as strangers in the first issue, and Nelson remarks that it’s a very strange coincidence that the stranger has a ring identical to his own. By the end, Nelson and von Holtzendorff have known each other for some time, and it was in fact von Holtzendorff who gave Nelson the ring. Also, by the end of the story, Nelson is known to the Chinese villains, having apparently foiled some plot of theirs in the past. All this adds up to a poorly planned story, which was modified after it began, in order to provide a hook for a sequel. After “The Claws of the Red Dragon” finishes, Nelson stars in a two-issue story, in Issues #9 and #10, called “The Blood of the Lotus”. This story, too, features Chinese villains, and Nelson himself now has a Chinese servant. It’s a little better, perhaps, than “The Claws of the Red Dragon”, but it’s still not very interesting. 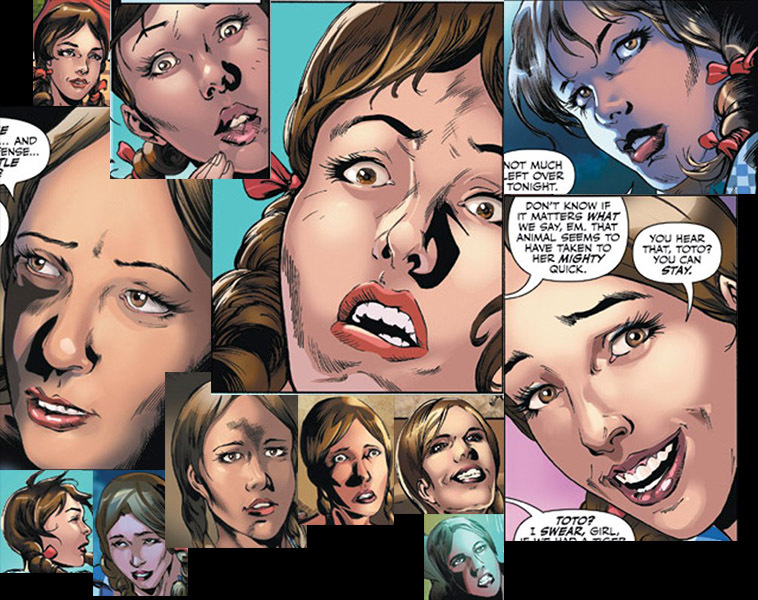 At the end of the first story, Sally is hired as a spy, too, and becomes a co-star of the comic. The stories are decent, if unspectacular. I do appreciate that, although the stories are episodic, there is some continuity. We see it more, starting with Issue #11, where they spend several issues in Paris as a result of the events of Issue #10. Sally gets her share of heroic moments, I suppose. She’s still treated as somewhat inferior to Bart, and she doesn’t always have a complete plan, but she does show some competence as a spy, from time to time. Maybe I just don’t like Westerns, but these stories are incredibly boring. Enough so that I stopped reading them, after Issue #9. The main problem is that they are entirely predictable. The basic format of each story is, essentially, this: Buck is on his way to see his friend the sheriff, when something crime-related happens–usually some shots are fired, or he comes across another man on horseback. Then, when he reaches the sheriff, it turns out that he’s just in time–the sheriff is heading out to investigate a crime that has just been reported. Buck scouts around a bit, and the real criminal almost always turns out to be the one who reported the crime–they’re always trying to pin crimes they committed on their rivals. The stories are not merely repetitive and predictable, but also pretty dull, so my reading experience should be improved substantially by skipping these. If I’m giving out an award for most improved, it goes to Slam Bradley. The stories aren’t that different, and they really still aren’t that good, but I’ve begun enjoying them much more than I did the first couple. Slam is still an absurd, hyper-masculine fool, but the comics began to make fun of that, a bit, and they are over the top in an amusing, rather than infuriating, way. Of note is that the third issue’s Slam Bradley story is drawn by Jim Bettersworth, and the art is much worse. Fortunately, Shuster returns in the next issue. Point of interest: we learn, in Issue #8, that Slam and Shorty live in Cleveland. Together. Sharing one bed. And wearing matching pajamas, too. You’d think that would put a cramp in Slam’s style, but I guess it works for him. Shorty gets a great line, there: upon being awakened by Slam, and told that a criminal has escaped, he replies “I don’t care if the planet has escaped from its orbit–all I want to do is sleep!”. Mr. Chang returns for a few issues, and his stories aren’t especially bad, but they aren’t especially good, either. A new comic, Larry Steele, begins in Issue #5. The first story is a five-issue story involving a mad scientist, and it’s boring. Not a great addition to the magazine. There are lots of short comics by Alger, which are of fairly consistent, if not great, quality. They’re generally predictable, though occasionally clever. The first year of Detective Comics is unimpressive, with a few decent comics, and quite a few very bad ones. My favorite for the year has to be Slam Bradley, which is fun, even if it’s not deep. Both Spy! and Slam Bradley showed improvement, over the course of the year. Most of these early comics are just not going to be satisfying to a modern reader, though some are not without merit. Unless you’re reading them out of interest in the history of comics, though, I’m afraid I’d have to recommend against reading these–they just aren’t worth the time, given the multitude of better, later comics. So, that’s it for 1937! Batman won’t show up in Detective Comics until 1939, but 1938 does mark the beginning of Action Comics, which means the introduction of Superman. I’m looking forward to it! Well, I called the blog Other Stuff Exists and said that it was to keep me from focusing on just one thing, and I’ve been reviewing almost entirely kids’ books. So, this time I’ll take my own advice and try something different… a comic book. How could I resist this cover? They're adorable! The only thing there really is to say about this comic is that it is very cute. There are silly jokes, like pointing out the fact that Speedy doesn’t have super-speed, but this issue is carried by its cute artwork and amusing premise. That’s enough, though, for one issue. Later, Slade will introduce the substitute teacher... Mr. Trigon. Poor kids. This whole issue had me smiling and giggling as I read it, so I’ve got to call it a success. This issue, along with the next five, can be found collected in Tiny Titans Volume 1: Welcome to the Treehouse.